140 countries in the world have abolished the death penalty in law or practice. In 2013, the top five countries still engaged in this barbarous practice were China, Iran, Iraq, Saudi Arabia, and the United States. The State of Texas has executed 521 people since the death penalty was reinstated in 1982, accounting for more than one third of the 1,401 executions in the United States since 1977. Currently, there are 271 people on death row in Texas, including 7 women. Believe it or not, we are getting close to forging a majority for abolition ―some legislators understand the immorality of the State killing its own citizens; the unjust way the death penalty is sought mostly for poor and ethnic minority defendants; the many mistaken convictions; and the barbarous way it is carried out. Some, unmoved by any of these moral reasons, are coming around to oppose the death penalty on the grounds of the enormous costs associated with this atavistic practice, which is more than three times more expensive than incarceration for life. Whatever their reasons, we welcome their support. 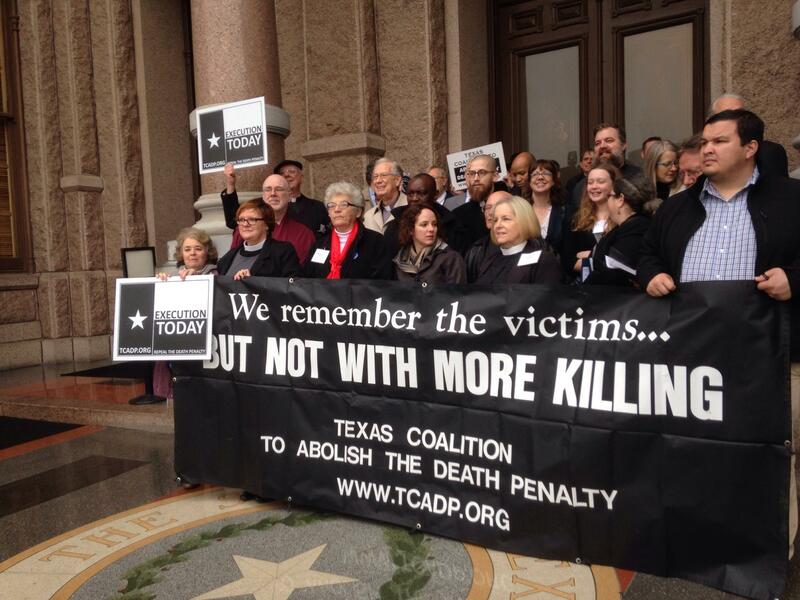 When Texas abolishes the death penalty, it will signify the end of that horrendous practice in the United States, so we feel a great responsibility and motivation locally to keep at it until this is done. It may not be this year, or the next, but it will happen. All life is sacred!